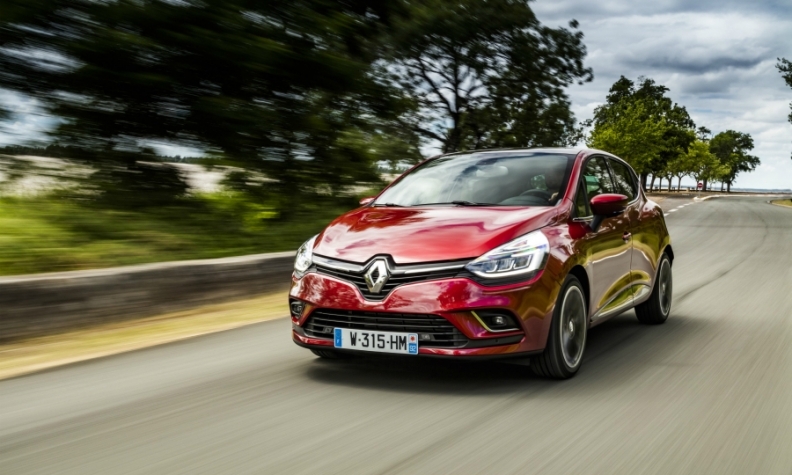 Helped by the Clio subcompact, Renault raced past Ford to No. 2 in sales behind the VW brand. Over the past two years, Renault has overtaken Ford and Opel to become the second-largest brand in Europe by unit sales, riding the momentum from a wave of stylish new models, especially in the hot crossover segment. But analysts say that success will be harder to maintain in 2017 as growth in the overall European market slows and the product pipeline empties out. The European auto market is widely expected to increase by only about 2 percent in 2017, compared with 6.5 percent last year. "It's probably easier to have strong growth when the market is growing itself," said Alexis Albert, a Paris-based analyst on the automotive sector at Barclays. "The market will be less supportive than it was in 2016." Ian Fletcher, a principal analyst at IHS Automotive, said: "I don’t think it's necessarily going to be an easy time for them, but given the foundations that have been put in place now going toward the next decade, they are looking reasonably positive." IHS forecasts that Renault will finish as Europe's second-largest brand again in 2017 with a volume of 1.17 million, followed by Ford (1.04 million) and Opel/Vauxhall (997,650). Last year Renault sold a company-record 1,100,880 vehicles in Europe, a 13 percent gain over 2015, according to industry association ACEA. That left it behind No. 1 Volkswagen brand's 1.72 million sales but ahead of Ford and Opel/Vauxhall. Renault's rise last year followed an 11 percent increase in 2015 and a 9 percent increase in 2014. Last month Renault also reported a 38 percent surge in operating profit to 3.28 billion euros in 2016 on 51.2 billion euros in revenue. That helped Renault increase its profit margin to 6.4 percent from 5.2 percent in 2015, meeting a key target one year early. The success caused Renault to set new goals, including a 7 percent operating margin and 70 billion euros in revenue by 2022. While Renault will continue to benefit in its home region from recently launched products such as the new Scenic, which is one of Europe’s top-selling minivans, there are no "blockbuster" new models planned for 2017, Albert said. He added that the downside to introducing so many models in a short time span is that it can overwhelm the sales force, which then focuses on selling the vehicles that are easiest to move, such as the Kadjar compact crossover. Similarly, he said, "once you get your sales force and customers used to so many new cars, it becomes more difficult to sustain that kind of growth rate." In addition, Renault's closest competitors are keeping up the pressure. Products such as the Opel/Vauxhall Grandland X and Crossland X crossovers, which are built under a 4-year-old joint development deal between the General Motors subsidiary and PSA Group, are scheduled to reach the market starting this year. Ford, which posted a record $1.2 billion profit in Europe in 2016, will also continue to make a strong push in SUVs, said Dominic O'Brien, an analyst at Exane BNP Paribas in London. "The competition's not going to get any easier," O’Brien said. "You could probably imagine that this will be an incrementally more competitive year [for Renault]." That could be complicated somewhat by geopolitical events, including closely watched presidential elections in France, the Netherlands and Germany, and the effects of Britain's exit from the European Union. And in the wake of the Volkswagen Group's emissions-cheating scandal, combined with increased pressure from France and other European countries to further reduce emissions, the region's consumers are starting to turn away from diesel engines. Renault is vulnerable to the trend, as about 54 percent of the company's sales in France, and 51 percent in Europe, are diesel powered, a spokeswoman said. Renault has also come under scrutiny by French authorities, who have opened an investigation into suspected cheating on emissions testing. The company has denied any wrongdoing, and analysts urged caution about the matter. "We don't know the full details, let alone which way this is going to come out," O'Brien said. "We have no reason to believe this is on the same scale as Volkswagen." With the unit sales goal achieved, what's next for Renault? A new product cycle under chief designer Laurens van den Acker is in the works, and further integration with its Japanese alliance partner, Nissan, is a likelihood, with the company hoping to have 80 percent of the alliance's vehicles on shared platforms by 2020. Any other strategic moves are likely to be announced in the coming months, analysts said. The Renault brand now has an 8.1 percent overall market share in Europe, the company said, up 0.4 percent from 2015, and it remains the leading brand in France, with a 22.3 percent share of the passenger car and light commercial vehicle market. The blueprint for Renault's success was laid out in early 2011 in a six-year strategy under CEO Carlos Ghosn that included an overhaul of the French automaker's entire model range, starting with the Twingo minicar and subcompact Clio, as well as an electric vehicle push and greater integration with Nissan. Last year, the Clio was Renault’s best-selling vehicle, with 351,000 unit sold in Europe. The Captur, a small crossover introduced in 2014, continues to be a sales success, with more than 217,000 units sold in Europe last year, according to Renault. The launches continued in 2015 and 2016, with the Kadjar SUV, which shares the Common Module Family platform, or CMF C/D, with the Nissan Qashqai; the Talisman, a sleek large sedan and station wagon that replaced the Laguna and Latitude; a new Megane lineup in the compact class; and the Megane-based Scenic and Grand Scenic minivans. "Looking at their lineup versus how it was five or six years ago, it's a considerable turnaround," Fletcher said. "They looked at the market and decided that they were going to attract customers with vehicles that are appealing at the moment rather than going their own way." Underpinning Renault's success has been the evolution of the Renault-Nissan alliance, analysts said. Under the terms of the partnership, which began in 1999, Renault holds a 43.4 percent stake in Nissan, and Nissan holds 15 percent of Renault, with Ghosn serving as CEO at each company. The integration of the two companies has only recently delivered on the industrial side, Exane BNP Paribas' O’Brien said. "What we've seen with the latest product cycle is proof of the industrial partnership," he said. "The joint development of the platform, the joint sourcing of the parts, all the way through the production chain." The Kadjar is an example of how that synergy is translating into sales success, analysts said. The shared CMF C/D platform allowed Renault to quickly bring out a comparable model to the Qashqai, which is Europe's top-selling crossover as well as a worldwide success. Last year, Renault sold approximately 130,000 Kadjars in Europe, the company reported. "I think without the alliance it would have been more difficult to come up with such a product, in terms of drivetrain and engineering," Barclays' Albert said. "I'm not saying they wouldn't have been able to do it, but it would have taken more time." Renault reaped the maximum benefit from the Kadjar, O'Brien said. "It was a pure add-to-range, so they didn't have that model in their suite beforehand," he said. "If you were buying that model, you wouldn't have been able to choose a Renault."